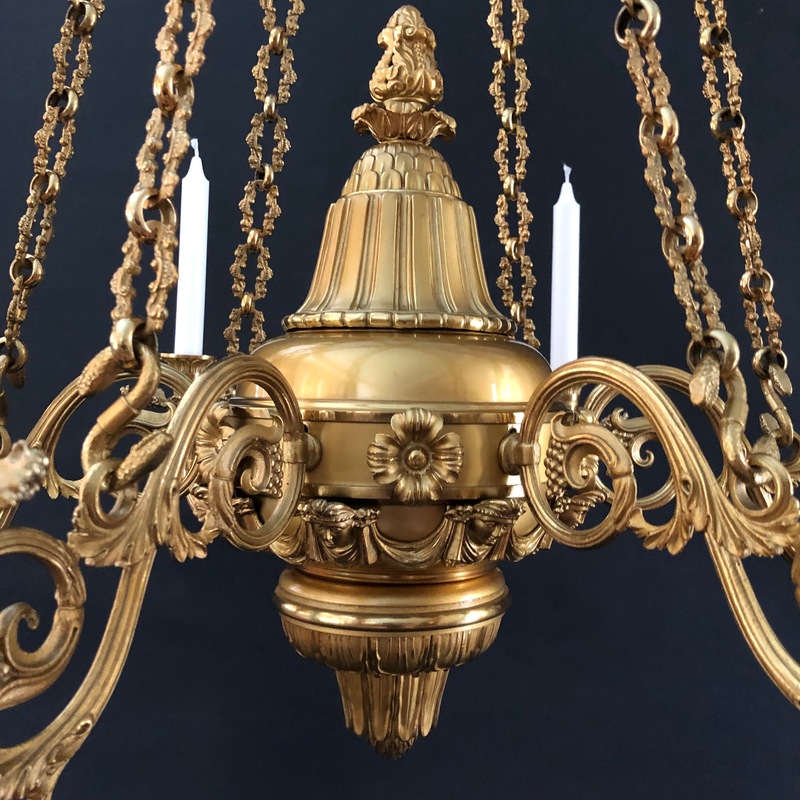 This elegant candle-powered chandelier was likely fashioned by the pre-eminent Regency lighting manufacturer Messenger and Son based on identical matching parts to other Messenger attributable lamps and chandeliers. Floral cast link and ring chains are suspended from a six-sided canopy and the scrolling arms are connected to the chains by cast snake hooks. 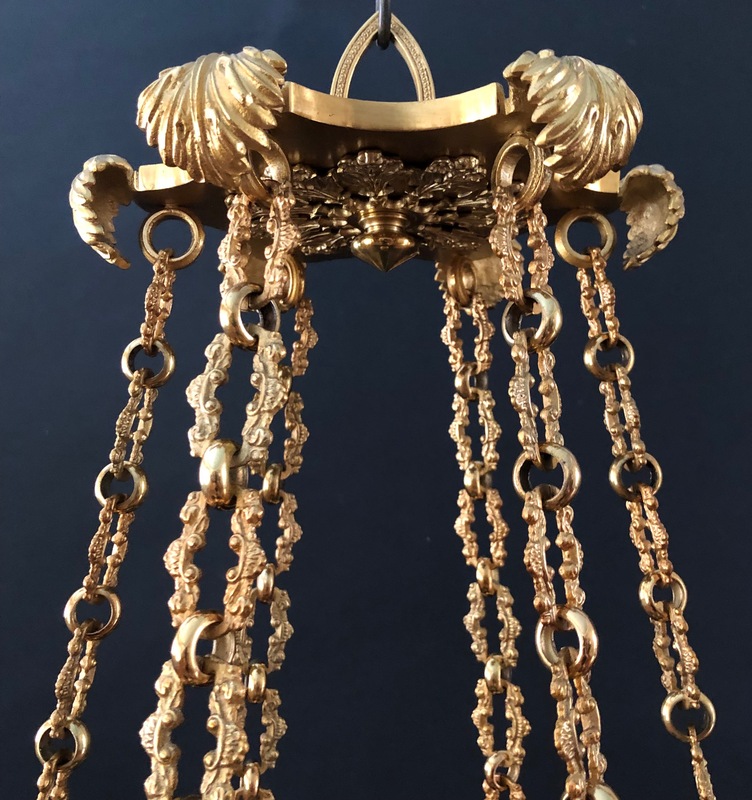 The body of the chandelier is decorated with cast swags connecting classical masks. 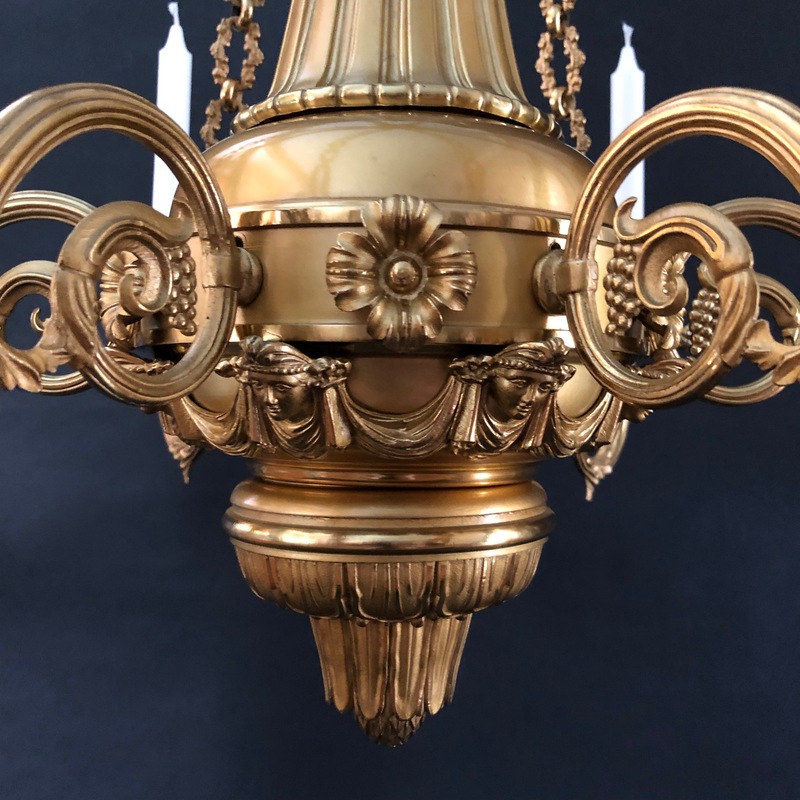 The fixture is presented in a beautiful two-tone gilt-lacquered finish. 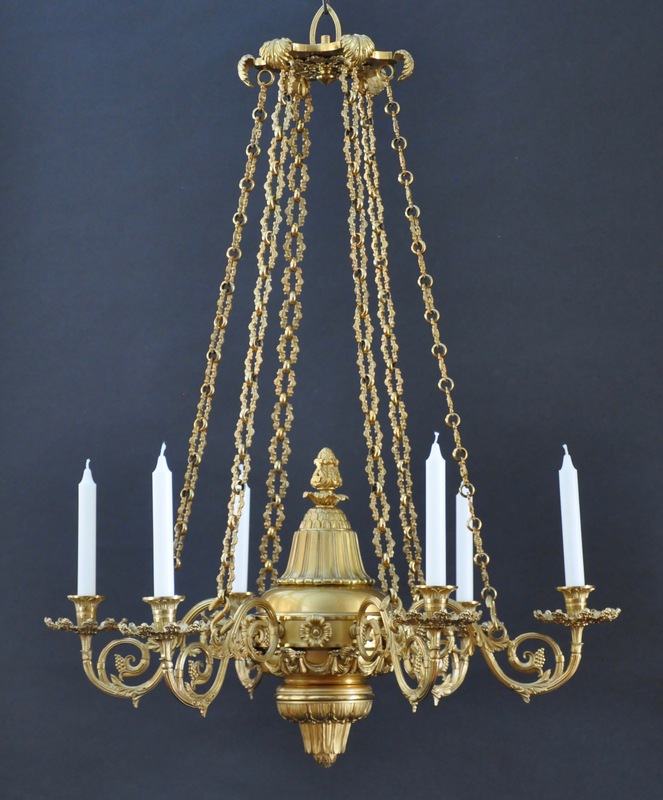 This chandelier was acquired with a matching eight-light companion chandelier seen in another listing.